In fiscal year 2017, USCIS denied 28,558 applications according to government data. Too many applications are getting denied for unnecessary reasons. When USCIS denies an application, the immigration agency keeps the filing fees and the applicant is denied benefits. If certain immigration violations are exposed in the review process, this can lead to significant legal problems for the applicant. Some crimes are deportable offenses. However, there is no simple list of crimes for you to check. If you have a felony or misdemeanor conviction, it is always wise to get a quick consultation from an immigration attorney before filing Form I-90 to renew your green card. Don’t rely on what you’ve heard or read on the internet. Get professional advice from a experienced, licensed immigration attorney. Remember, it’s better to play it safe than to get your green card renewal denied. In many cases, an experienced attorney can successfully obtain a renewed green card for clients that have deportable crimes. 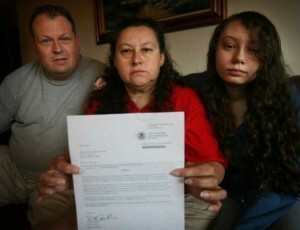 Read more about Renewing a Green Card After an Arrest. After filing Form I-90, USCIS will schedule you for a biometrics appointment. At the appointment, USCIS will ask you to re-affirm under penalty of perjury that all of the information in your application is complete, true, and correct and was provided by you. If you obtained assistance from a friend, family member or attorney to prepare the application, you must disclose this information. Likewise, indicate if you received help from a language interpreter. Knowingly submitting incorrect information on Form I-90 and lying to USCIS officers is against the law and will result in an I-90 denial. It’s simple — be truthful. If you believe that the truth will damage your chances, you should consult with an immigration attorney. “Ordered removed” also does not apply to you simply because you have one of the following immigrant visa (class of admission) categories: Z11, Z13, Z14 and Z15. These visa categories are based on a “suspension of deportation” or “suspension of removal.” This is different than being ordered removed. Every year many conditional permanent residents incorrectly file Form I-90. 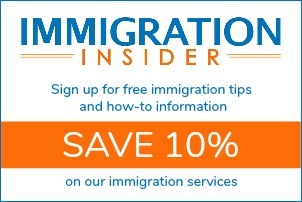 Conditional permanent residents should only use Form I-90 to replace a green card (i.e. lost, stolen, damaged or incorrect information). A conditional permanent resident should never file Form I-90 to renew a green card; this will result in a denial. If you became a conditional permanent resident through marriage to a U.S. citizen or permanent resident and your conditional status is expiring within the next 90 days, file Form I-751, Petition to Remove Conditions on Residence. If you became a conditional resident based on a financial investment in a U.S. business, file Form I-829, Petition by Entrepreneur to Remove Conditions. When you prepare your I-90 application on CitizenPath, we provide simple, step-by-step instructions and alerts to help you avoid costly delays. We even guarantee USCIS will accept your form. No credit card is required to try it. And What About These Issues? 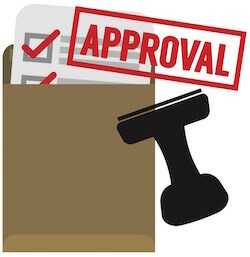 Although it’s unlikely that USCIS will deny an early green card renewal, they will most likely reject it. USCIS requests that applicants do not renew a green card more than 6 months prior to the expiration date on your current card. 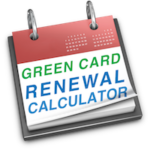 To learn more, read When to Renew Green Card or use the Green Card Renewal Calculator. Traveling abroad for more than one year at a time or spending significant amounts of time outside the U.S. over multiple trips probably won’t result in getting your green card renewal denied. However, it can lead to green card abandonment or create an obstacle to U.S. citizenship. Avoid taking any trips abroad that are six months or longer. Learn more about becoming a U.S. citizen. As a U.S. citizen or immigrant working in the United States, you may be legally obligated to file an income tax return. Although this most likely won’t get your I-90 application denied, it will become problematic. You could be fined, prosecuted, and it is unlikely that you can become a U.S. citizen. In most cases, it can be resolved by setting up a payment plan. Learn more about becoming a U.S. citizen. CitizenPath provides simple, affordable, step-by-step guidance through USCIS immigration applications. Individuals, attorneys and non-profits use the service on desktop or mobile device to prepare immigration forms accurately, avoiding costly delays. CitizenPath allows users to try the service for free and provides a 100% money-back guarantee that USCIS will accept the application or petition. We provide support for Renew Green Card (Form I-90), Petition to Remove Conditions of Residence (Form I-751), Citizenship Application (Form N-400), and other USCIS immigration forms.